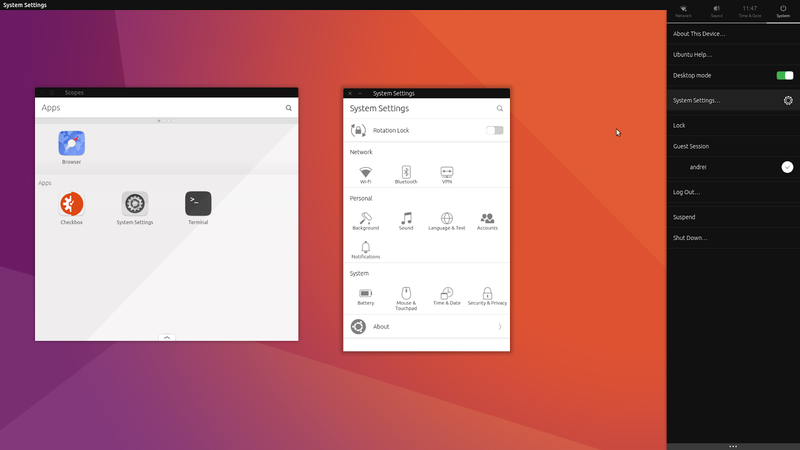 Ubuntu 16.10 (Yakkety Yak) has been released. 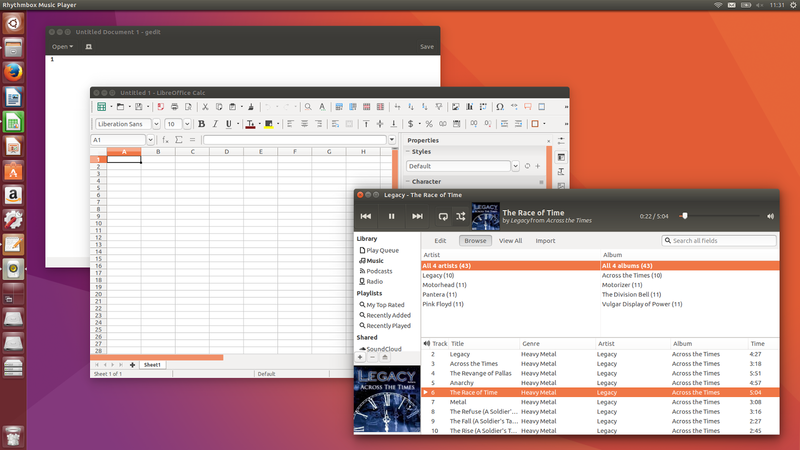 The new version ships with Unity bug fixes, updated applications, including the GNOME 3.20 stack, an alternative experimental Unity 8 session, along with various under-the-hood improvements. More about the improved low graphics mode in Unity 7, HERE. 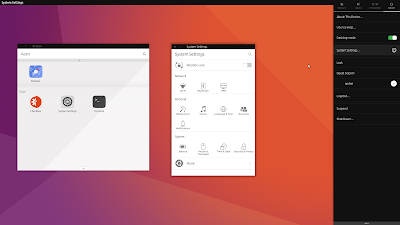 It's important to mention that most of these changes were backported to Ubuntu 16.04 already. Also, with Ubuntu 16.10, graphical desktop sessions (including Unity) are ran by systemd instead of Upstart (more about this, HERE). systemd was already used for system sessions in previous Ubuntu releases. 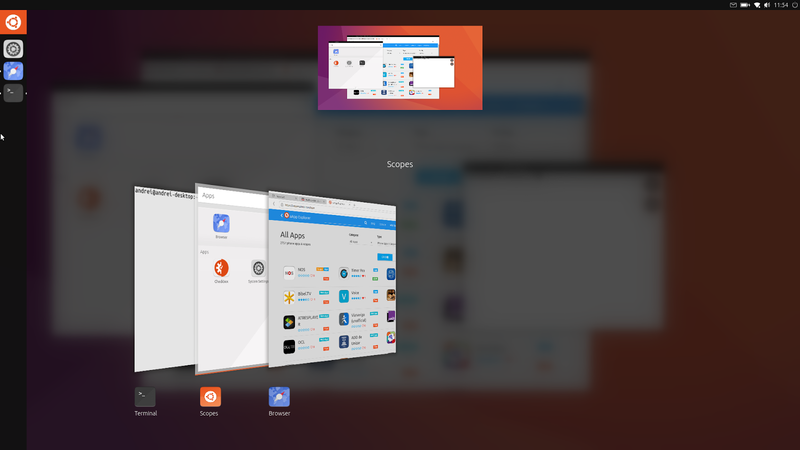 The Unity 8 session runs on top of the Mir display server, and is especially designed for Ubuntu Phones and Tablets. 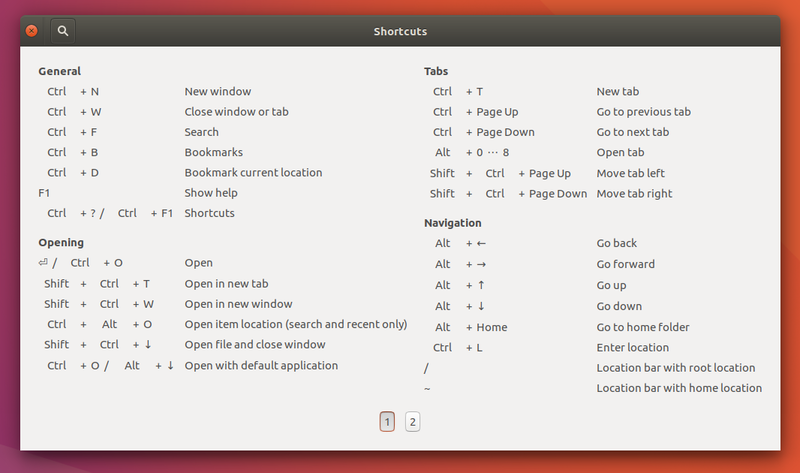 It is currently considered experimental on desktops and lacks many features to actually be usable for everyday use. For instance, besides requiring quite a bit of work pretty much everywhere, there are only a couple of apps installed by default (a web browser and terminal), applications (and scopes) can only be installed from the command line, and so on. 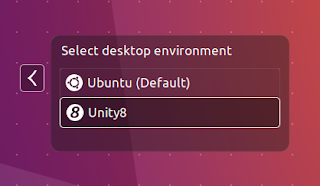 Furthermore, Unity 8 will only work if you're using Intel or Nvidia open source drivers. Also, VirtualBox is not supported, but there are reports that at least at some point in the past, it did work in VMWare. Update: for more about the Unity 8 session in Ubuntu 16.10, see THIS article (includes installing more scopes and apps, etc.). 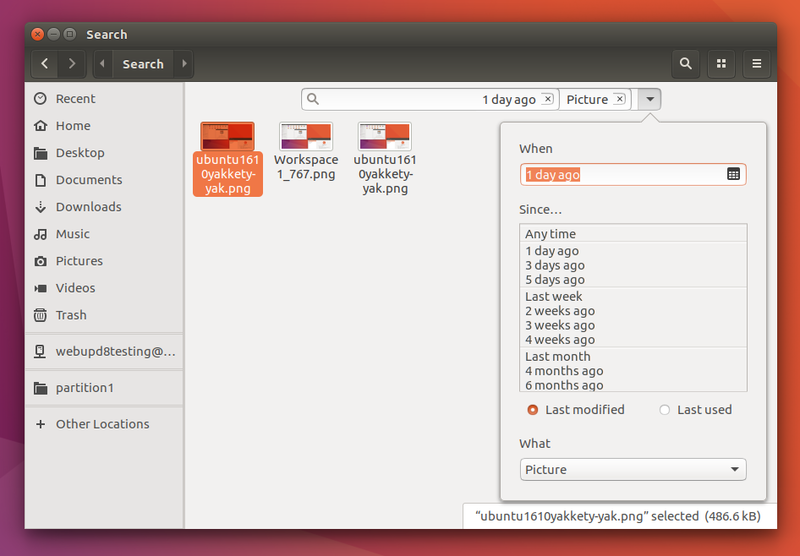 Ubuntu 16.10 (Yakkety Yak) ships with GNOME 3.20 (and GTK 3.20), mixed with quite a few GNOME 3.22 applications. The Nautilus changes mentioned above only cover the 3.20 release. The previous Files (Nautilus) version in Ubuntu was 3.14 and since then, the app has seen many other changes. Among these changes are a reworked places sidebar, a new popover for changing between views, zoom level and sort order, folder creation and file/folder renaming now uses popovers, the copy/move dialog is now integrated as a button in the Files header bar, and more. 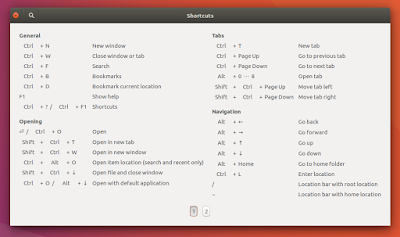 For a complete GNOME 3.20 overview, see THIS page. Among the default applications in Ubuntu 16.10 are: Nautilus 3.20.3, Gedit 3.22, Firefox 49, Thunderbird 45.3, LibreOffice 5.2.2 (with the GTK3 integration package now installed by default), Transmission 2.92, Shotwell 0.22.0 (+ Git), Rhythmbox 3.4.1, Totem 3.22, GNOME Terminal 3.20.2, GNOME Disks 3.22, and GNOME Software 3.20.1 (+ Git). Under the hood, Ubuntu 16.10 (Yakkety Yak) ships with Mesa 12.0.3, Xorg server 1.18.4, Ubuntu Linux Kernel 4.8.0-22.24 based on the upstream 4.8 Linux Kernel, PulseAudio 9.0, and systemd 231 (+ Git). Microsoft Surface 3 touch-screen support. Important: all non-LTS Ubuntu versions are only supported for 9 months. 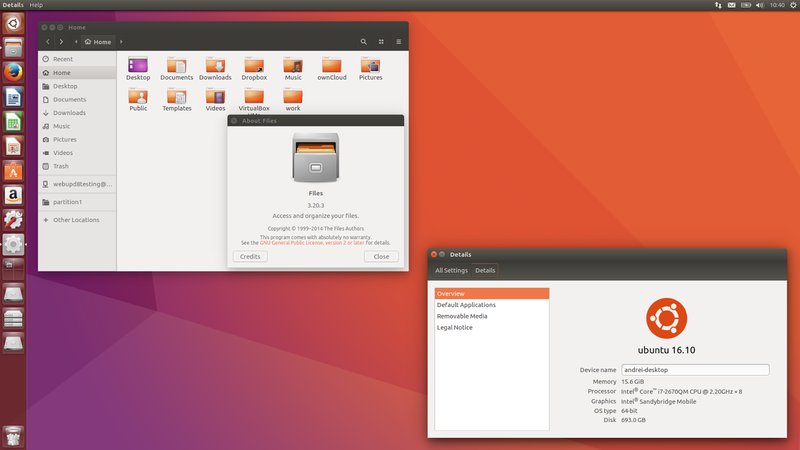 Ubuntu 16.10 will be supported until July 2017.